The hit series returns May 30 on Netflix. 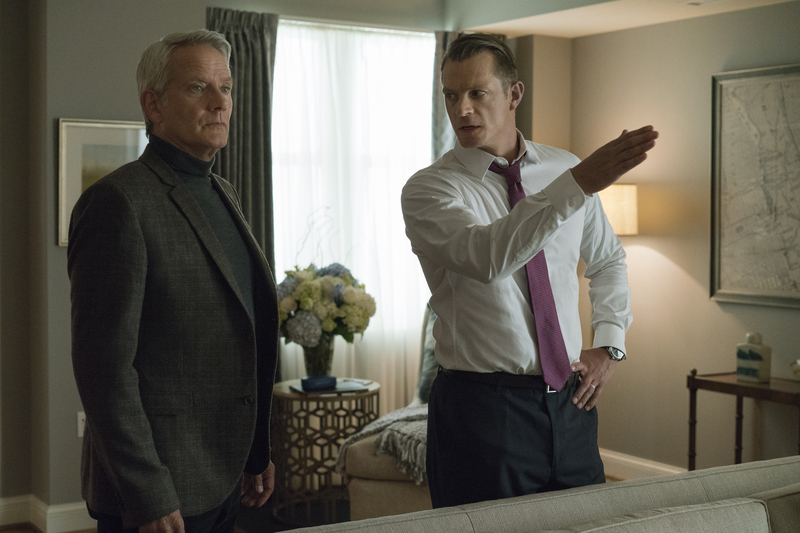 Now that the Underwoods are getting ready to “make the terror,” they’ll be needing new people to help them – or take them down – along the way. 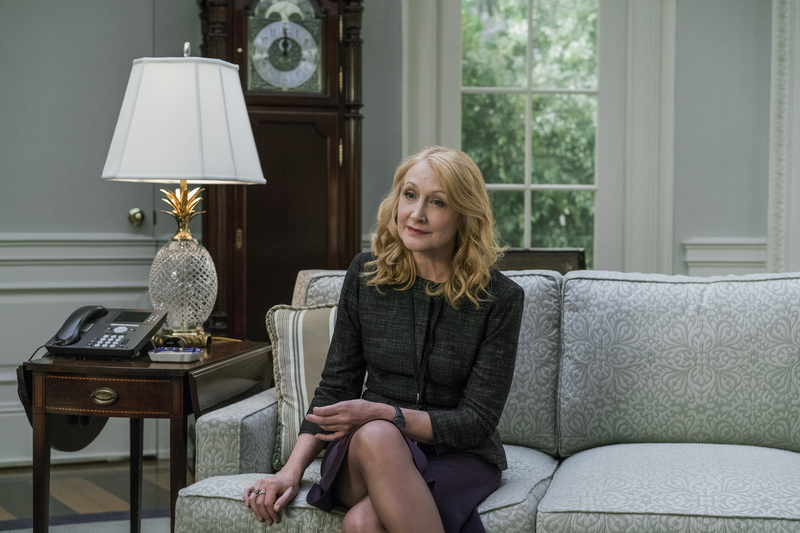 Netflix has announced that Patricia Clarkson and Campbell Scott will be joining the cast of Season 5 of “House of Cards” and have released three new images featuring the actors. Back in October, rumors surfaced that the two had booked parts for the upcoming episodes, and now the news has been confirmed by the streaming service. No details on their roles have been unveiled, only that they are expected to be featured prominently. Season 4 left off with Frank (Kevin Spacey) and Claire (Robin Wright), who wants to run as her husband’s VP, sitting in the Situation Room watching the terrorists’ live stream depicting their execution of Mr. Mills. It also had Remy (Mahershala Ali) and Jackie (Molly Parker ) going into hiding after The Washington Herald released the article written by Hammerschmidt (Boris McGiver). The finale ended with Claire breaking the fourth wall for the first time. Fans got to see an ominous Season 5 teaser hours before Donald Trump’s inauguration. The clip didn’t give any plot details and only featured an upside-down American flag flying in front of the Capitol Building. 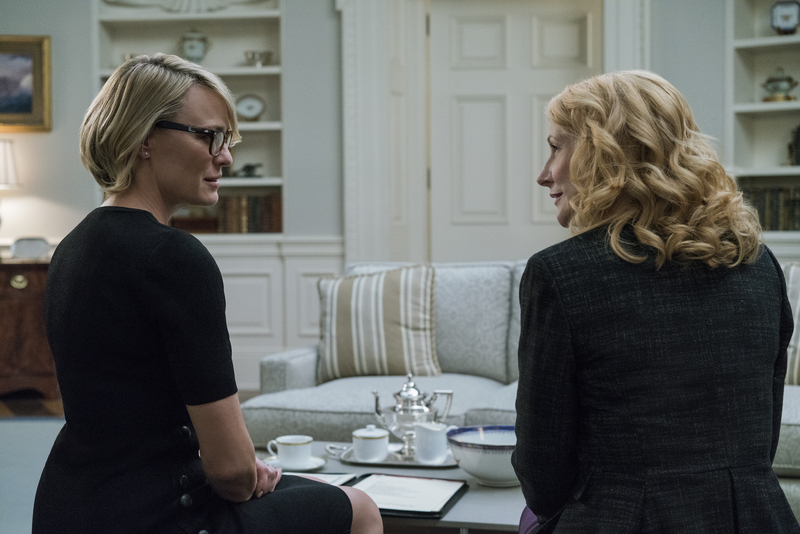 The entire fifth season of “House of Cards” will be made available on May 30.